Tactile Vinyl Bead Balls with a Unique Feel. Perfect for your activity program! 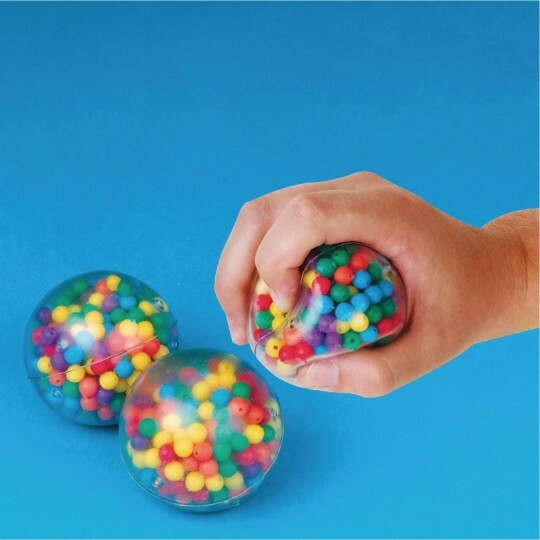 Great for games or fine-motor manipulation. Soft, squishy texture is stimulating to the touch. It also keeps them from rolling away. 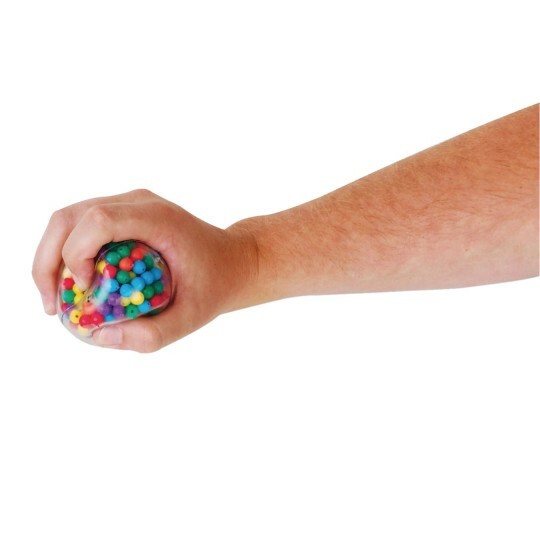 Set of 3 tactile vinyl bead balls with a unique feel – perfect for your activity program! Great for games or fine-motor manipulation. Their soft, squishy texture helps them stay put and keeps them from rolling away. Approx. 2-1/2" diameter. easy to clean and nice size for an adult to squeeze in their hands. We use these with infants to motivate crawling. They love looking at the colours and love the sound the beads make when the shaken. Easy to clean too. All of our individuals LOVE these! We all enjoy working with these balls. GREAT!!!! We use this with our kids' groups and it helps the active kids focus when they are required to listen.